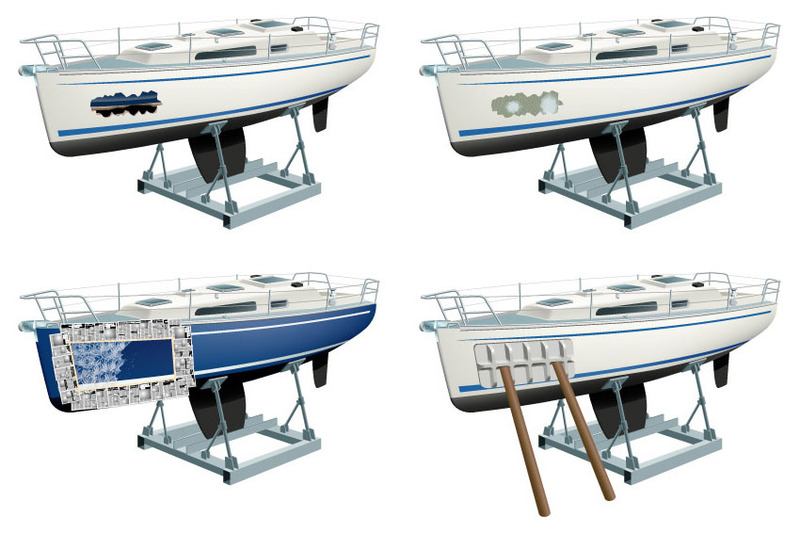 Part of a series of illustrations to show the stages involved in repairing a damaged yacht. Completed entirely in Adobe Illustrator. Click on image to return to main page.